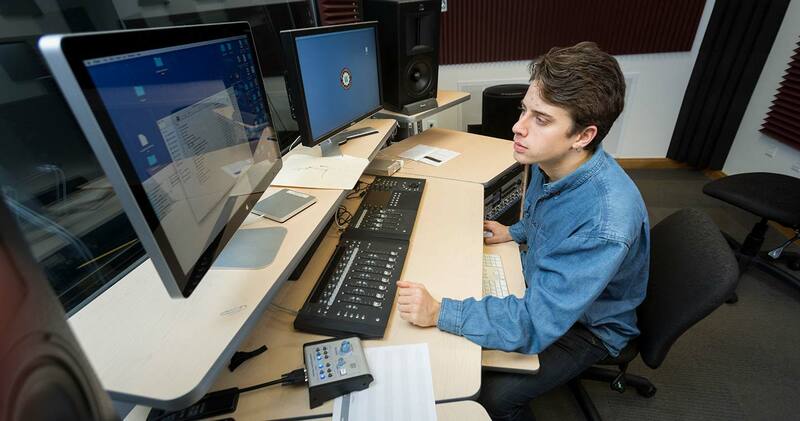 Henry Coba ’19, a music major, mixes a multi-track song at a computer on campus. 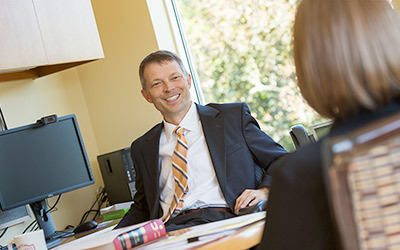 For his fellowship, he recorded an album with his band, Percy Lounge, and directed a documentary of the production process. 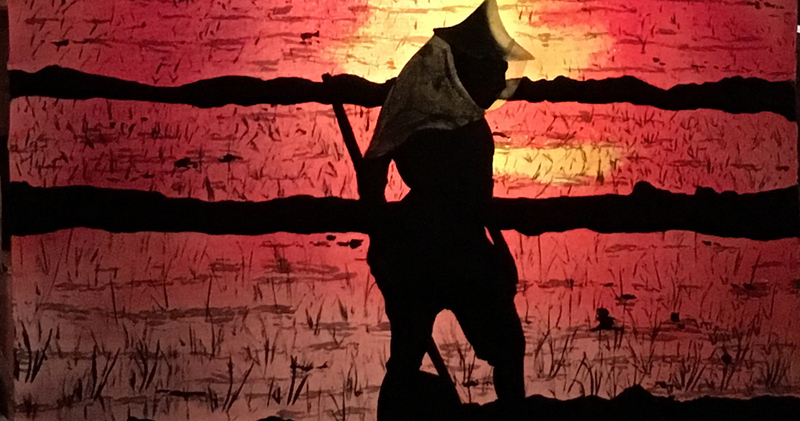 Whether transforming an ancient Christian text into music or painting background scenery for a play, some Willamette students recently discovered a new artistic freedom. Through the Shuchat Arts Fellowship, students receive a $5,500 stipend to further develop their craft through independent work, portfolio building or experiences guided by close faculty mentors. 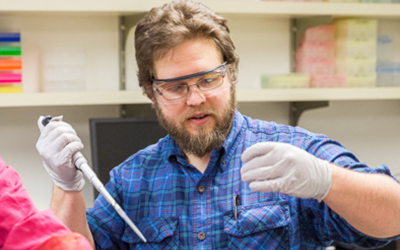 Although the fellows are selected by faculty, the projects are entirely student-driven. Established with a generous gift from Terry Shuchat ’62, the annual fellowship is awarded to two students each from art, music and theatre. Last summer, the first six Shuchat students spent several weeks working on their projects and developing new skills. 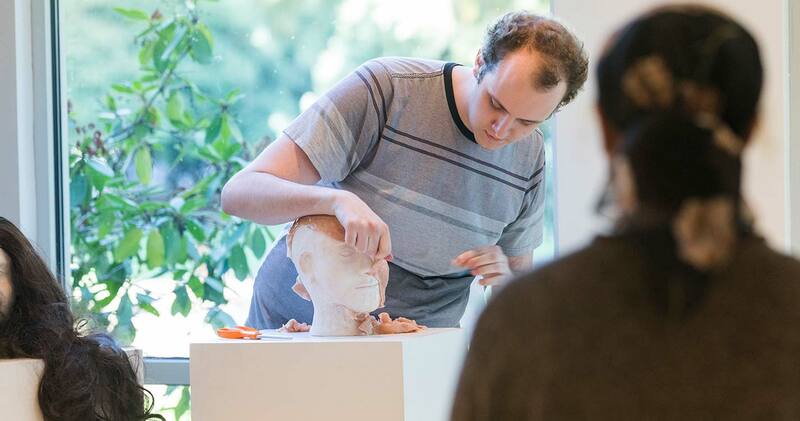 Matt Jensen ’18, a studio art major, explored how societal judgment of physical appearance impacts people — especially those in LGBTQ+ communities — through clay, plaster and silicone sculptures. The fellowship also provides students a chance to gain strong practical experience that will help prepare them for graduate school and successful careers in the arts. Henry Coba ’19, a music major, recorded an album with his band, Percy Lounge, and directed a documentary of the production process. After learning dozens of methods for approaching shadows, perspective and faux finishes — her instructors could name 20 different approaches alone to recreate the look and texture of stone — Steuer created eight paintings. One of her favorite techniques was marbling because she could cover random objects like pieces of velour and cheesecloth fabric in paint and throw them on a backdrop to achieve the look she wanted. Upon her return to Willamette, she helped teach a session of the theatre department’s “Stagecraft 1” class. 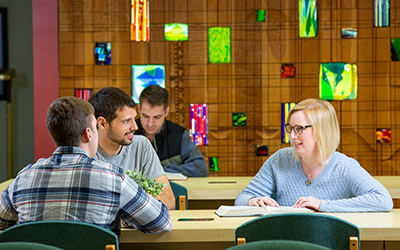 College of Liberal Arts Dean Ruth Feingold says the Shuchat Fellowship provides arts students with important access to faculty mentorship, funding and peer learning communities.